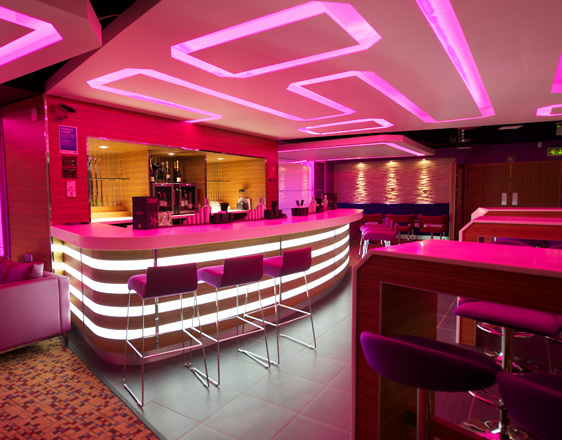 GIA were asked to design a new VIP bar/lounge area in a cinema in Cardiff. The brief was to create a great customer experience designed to increase customer spend per head whilst working within a monitored budget. GIA had to work to a tight deadline, allowing the cinema to continue trading during works. It required strong Project Management, with the new ‘Gallery’ Bar and a coffee shop opening at the end of a 5 week programme. 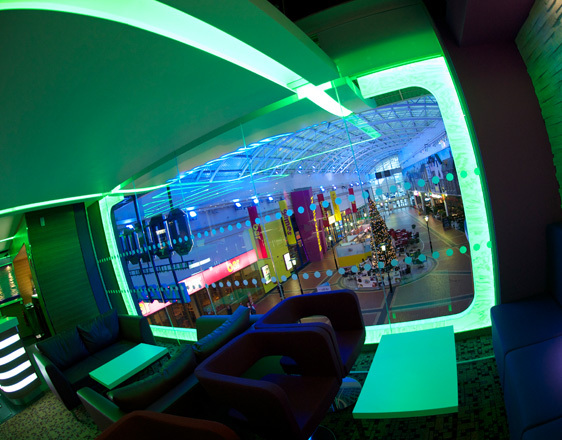 Consideration was given to customer flow and how it interacted with the cinema to ensure that the cinema goers experience was maximised. Careful analysis of the different type of clients that use ‘The Gallery’ allowed GIA to create very distinct zones within the space. 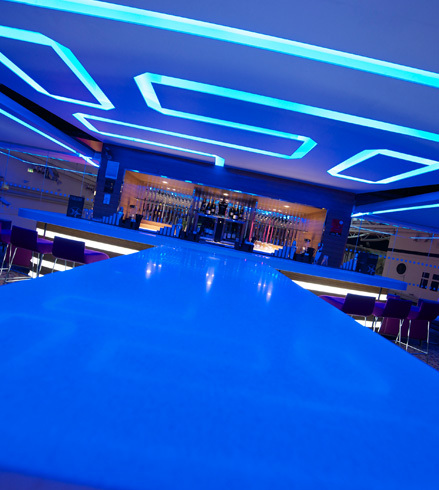 Hung ceilings sail over the bar area with feature LED troughs, allowing the mood and colour of the space to be changed instantly. This was created by re-using an existing feature so delivered excellent value for money. For those on the move with shorter dwell time, the central zone features three hi bars with stools around themed hi bar tables. Bench seating caters for larger groups whilst a contemporary seating area overlooks the new glazed stairway. 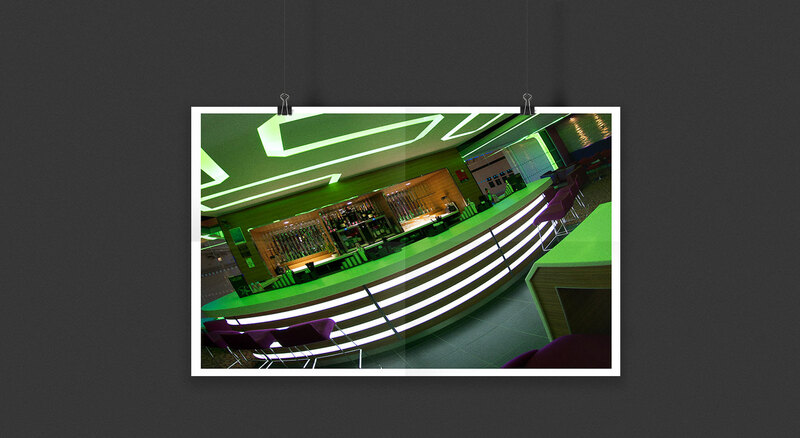 Clients are greeted by a new linear design back lit bar which complements the ceiling. 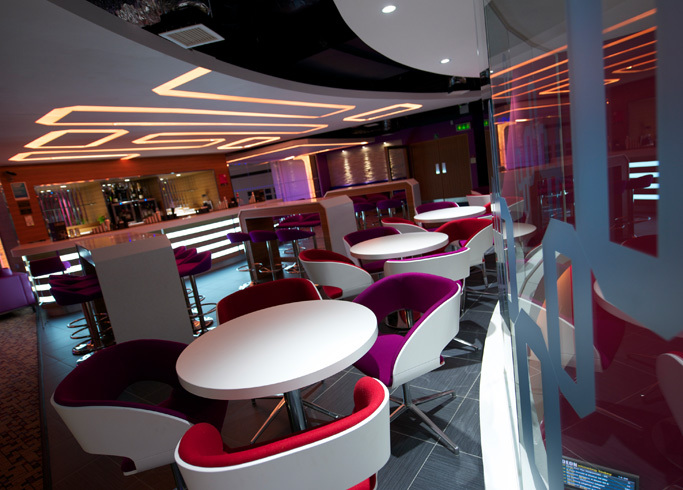 The Odeon branding is picked out in the glass and in the shape of the high bar tables. The seating is upholstered in high quality fabrics and faux leather putting the emphasis on comfort and relaxation.